When you think of Japanese food, I’d imagine most of Japanese food can be associated with rice (or at least, noodle?). And you are quite right, we are big rice lovers, but I have to tell you that Japanese bread is not bad at all. Especially savoury ones and sweet buns are very good! 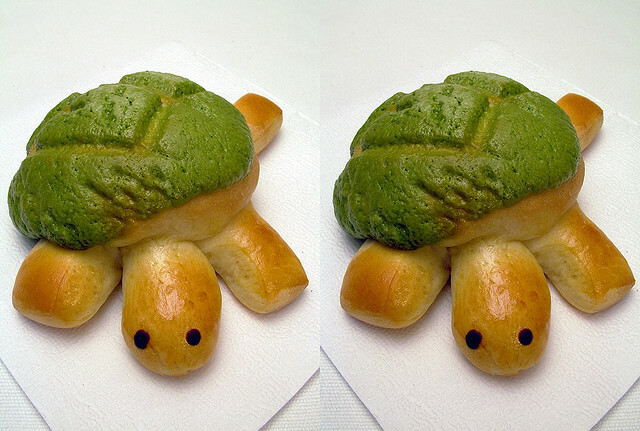 Today, I would like to introduce very cute bread sold in Kyoto Aquarium. 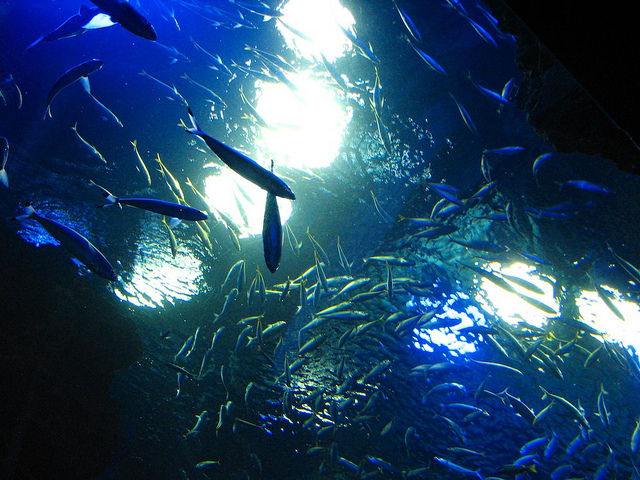 According to the article, his aquarium in Kyoko just opened March 2012, so it is relatively new aquarium in Japan. In addition to the all general aquarium facility, it seems a local bakery who is supplying buns to the aquarium tea rooms is catching attention of people because their buns are in a shape of popular sea creatures. *This picture is just a sample image, and not the actual product offered by the aquarium. Buns available in those cafeterias are all hand-made, and dough is made from a scratch on a day before the product is sold. Although the buns are strictly made by hands, using home grown wheat, there are more than a few types of buns available. For example, you will see giant salamander-shaped one, jelly fish shaped- one, tortoise-shaped one and seal-shaped ones! Well, according to the article, most of them sound like sweet buns with choc cream, sweet red beans and custard etc. Sometimes, cute looking food doesn’t taste good (sorry, but true :-P), but this one seems to be highly recommended^^ I think children will definitely love these buns! Location-wise, this place is not too far from Kyoto station, so if you visit Kyoto and feel a bit traditional building overloaded, maybe this aquarium with unique buns can be a nice change for the good?